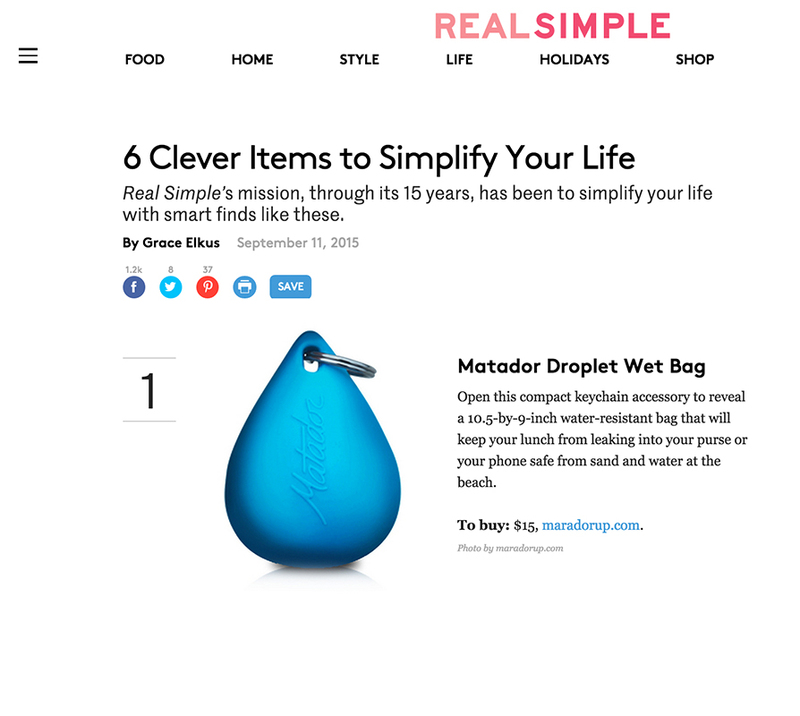 Congratulations to our Client Matador for their feature in Real Simple! Love the beach, working out, or traveling? Â Whether youâ€™re dealing with wet swimsuits or sweaty gym clothes, Droplet is here to help. Droplet is perfect for people who travel. Use it to secure items that might leak in your luggage and organize small items. Â Use it to hold snacks that might make a mess of your briefcase or to contain condensation on your water bottle on humid days. Keep a Droplet on your keychain, pack one in your gym bag, stash one in your luggage, send one with your kiddo to camp. Droplets protect your stuff, and so much more. Simplify your life. Check them out at matadorup.com!